This new cereal has a great cinnamon flavor with the perfect amount of sweetness (courtesy of evaporated cane juice crystals). With 10 grams of protein and 9 grams of dietary fiber, it's currently one of the better healthy options in the cereal aisle. It reminded me of slightly undercooked and dehydrated multigrain granola mixed with bits of a kid's cereal like Cinnamon Toast Crunch. 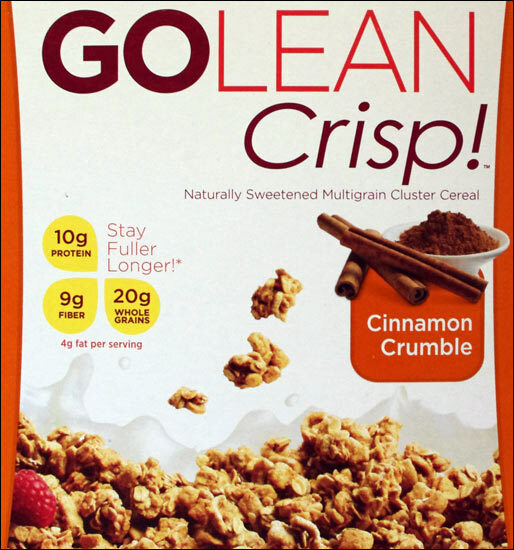 This version of Go Lean Crisp! is definitely crisp. It's not quite as crunchy as the granola cereals it resembles, but it won't disappoint if you're looking for crunch. 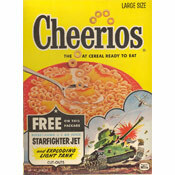 It's an adult cereal, but the cinnamon sweetness should also appeal to kids. I'd buy it again. Nutritional Considerations: Each 3/4 cup serving has 190 calories, 4 grams total fat (0.5 saturated and 0 trans), 34 grams total carbs, 9 grams dietary fiber, 10 grams sugar and 10 grams protein. We also liked Go Lean Crisp! Toasted Berry Crumble. What do you think of Go Lean Crisp! Cinnamon Crumble? 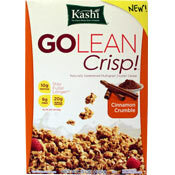 I've become a pretty big fan of Kashi. This one is a good one. Great texture and flavor. You might also want to consider that it is made with genetically modified ingredients.